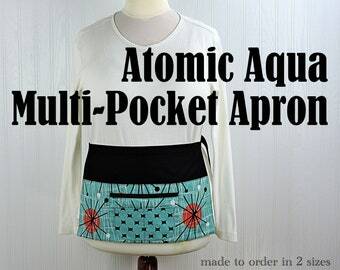 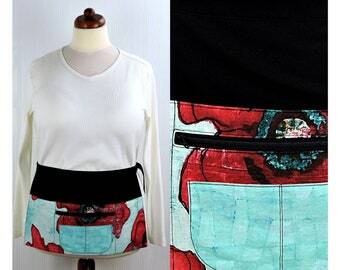 Whether you are sewing, crafting, teaching, gardening, organizing an event, or having a garage sale-- this multi-pocket apron holds everything you need right at your fingertips. 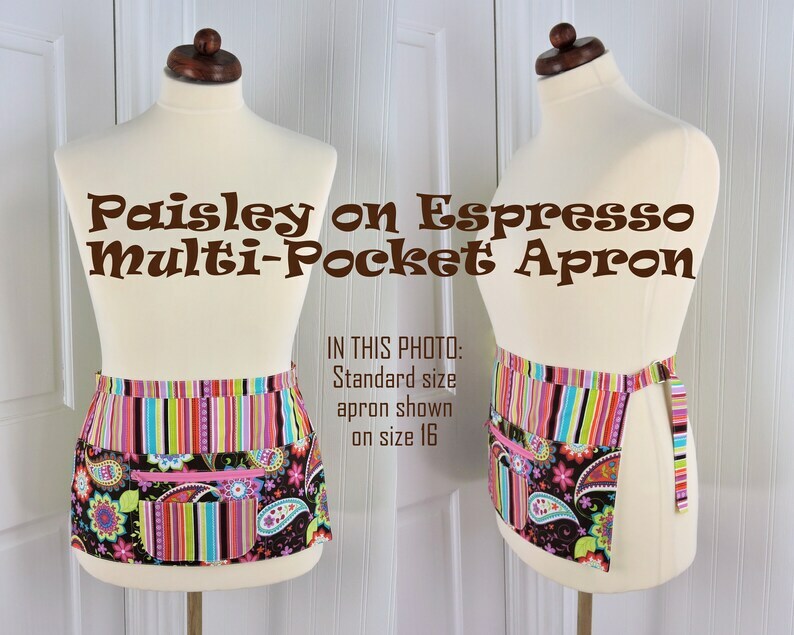 This little half apron in a colorful paisley print on a dark brown espresso background is combined with the coordinating stripe from the same quilting collection. 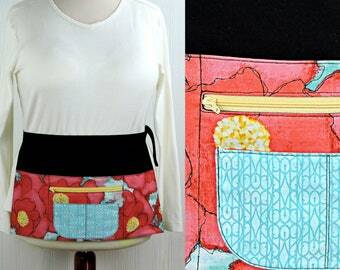 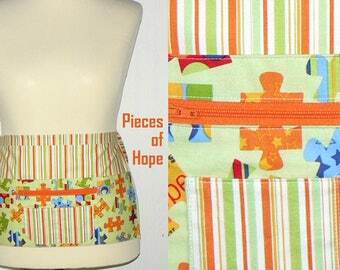 It features 6 fully functional pockets, including the secure zipper compartment. 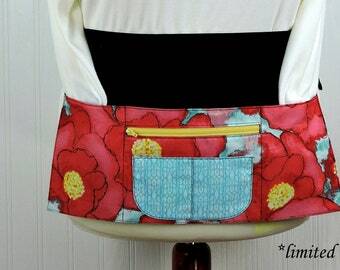 Apron works especially well for servers or vendors-- to hold your receipt book, business cards, pen, cell phone, money.... while keeping your hands free. 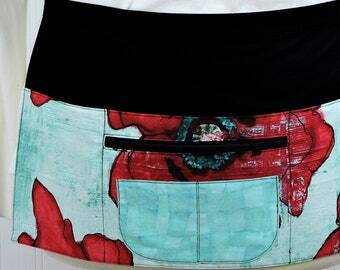 (What a relief to no longer have to keep your eyes on the cash box!) 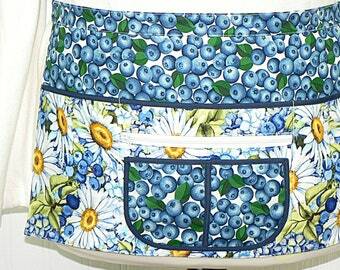 Apron features 3 large open pockets to hold your tools of the trade-- PLUS the center open pocket also contains an additional (fully lined) zipper compartment. 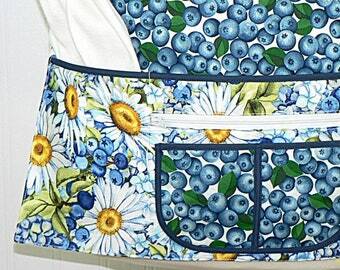 This handy apron also includes a smaller patch pocket in a coordinating pattern-- divided into 2 sections perfect for holding your business cards and cell phone or other small gadget!